Welcome home! 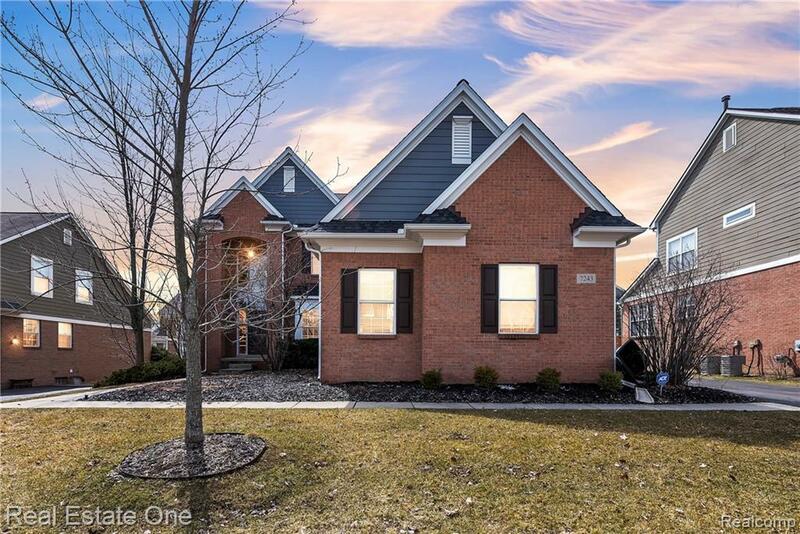 This 4 bed, 2.5 bath colonial is located in the highly desirable Parks at Stonewood Subdivision. This property has been updated and immaculately maintained. From the moment you walk in the door you will fall in love with the open floor plan. The large kitchen features granite countertops and overlooks the main living space. The family room has a beautiful fireplace and offers tons of natural lighting. Master suite boasts vaulted ceilings, tons of windows, new hardwood flooring, double sink vanity and walk in closet. All bedrooms are generous in size and have great closet space. Additional features include; dual staircases, extra deep daylight basement ready to be finished, durable Trex deck and large 3 car garage. New AC (2016), furance (2016) and roof (2016). This is the perfect neighborhood for your family with a swimming pool, trails, playground and located in the highly rated Clarkston School District! Hurry and book you showing today! IDX provided courtesy of Realcomp II Ltd., via Real Estate One-Clarkston and Realcomp, ©2019 Realcomp II Ltd. Shareholders.